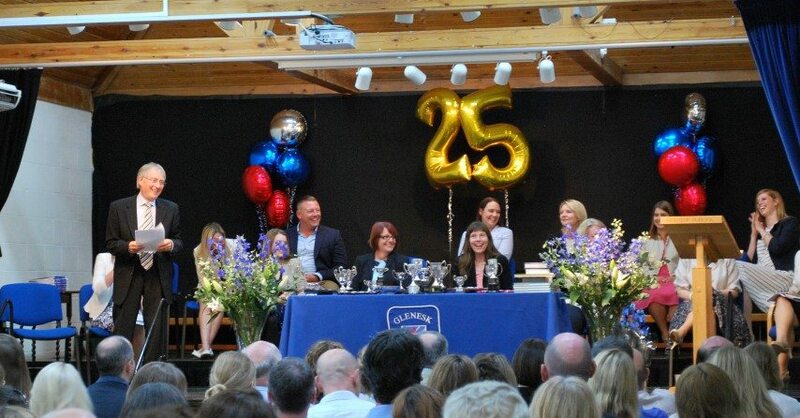 This was a very special Speech Day and Prize Giving as it was also a chance for us to celebrate Mrs Christie-Hall’s last year at Glenesk School and reflect on all the things she has seen and achieved in her time here. 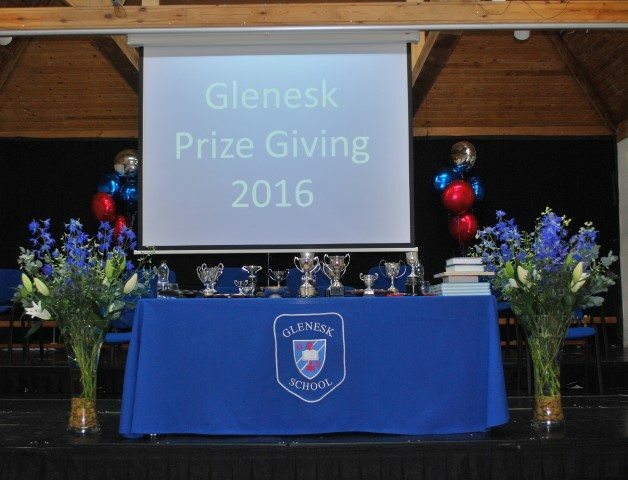 Mrs Christie-Hall’s husband gave a lovely speech with much laughter, tears and memories and past pupils also came to share their recollections of Glenesk School and the great foundation it gave them to succeed in their Prep Schools. 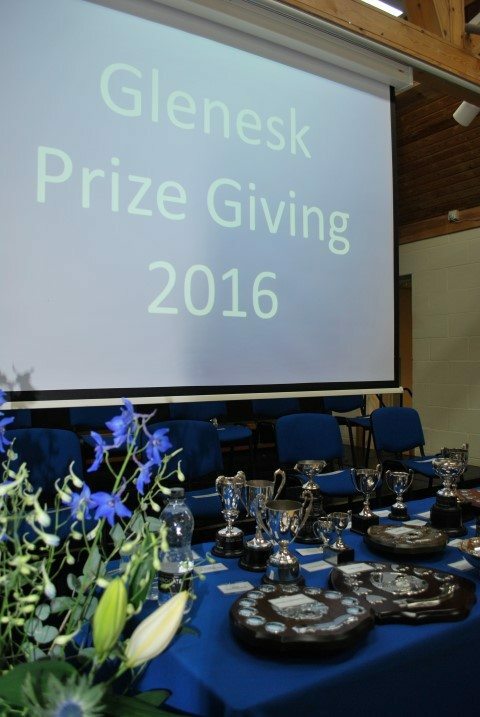 Trophies, Cups and Shields were also awarded to the children and all Year 2 leavers were given a gift from the school. 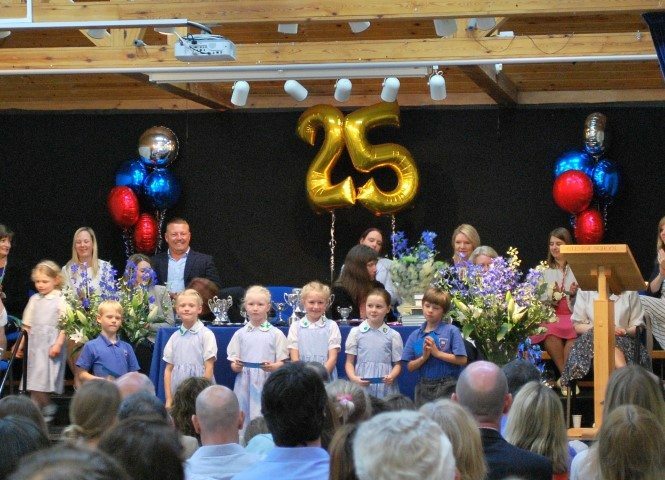 It was a lovely celebration and our families thoroughly enjoyed the day – a fitting comment from one family was that it was felt like a whole family coming together. 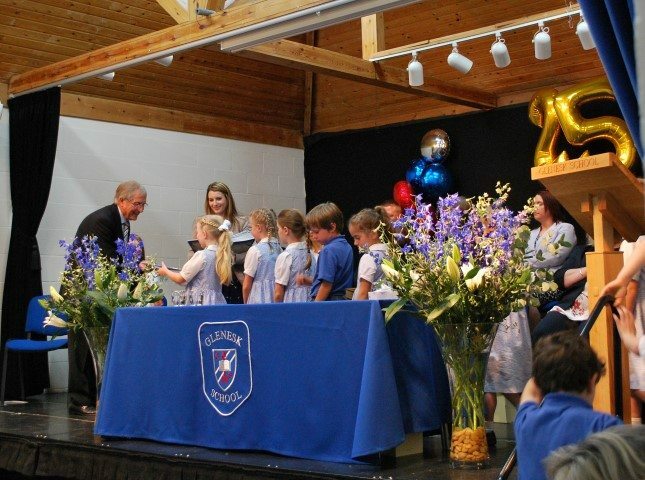 What a fitting tribute to a wonderful occasion!